Anthony J. & Martha (nee-Cooper) Candelmo passed away. Anthony passed away on 3/9/2019 and Martha passed away on 3/19/2019. They were 76 & 74 years old. Anthony was born in Orange & Martha was born in Washington D.C. Together they lived in Parsippany most of their life. Anthony was a teacher for the Parsippany Board of Education for many years before retiring and Martha was a homemaker dedicated to taking care of her family and friends. Survivors include their daughters: Jessica & Andrea; their grandson: Jake; their son-in-law: Christopher; their sister/sister-in-law: Joanne Fox and her husband Harold. 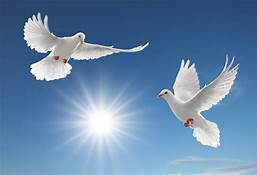 Relatives and friends are invited to attend their Liturgy of Christian burial Thursday 10:00am March 21, 2019 at St. Christopher RC Church 1050 Littleton Road, Parsippany. Interment: Hollywood Memorial Park & Cemetery, Union. Visitation will be on Wednesday from 5:00pm – 8:00pm at the Par-Troy Funeral Home 95 Parsippany Road, Parsippany (973) 887-3235.